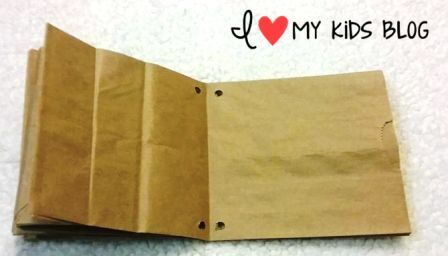 If you have a massive amount of these brown paper bags that are used for lunches and need a fun craft idea, then you have come to the right place! I am planning a youth girl’s church camp and the director from last year said, whatever you do, PLEASE use some of the thousands of paper bags we have in storage. Every year the girls receive a journal to write in. 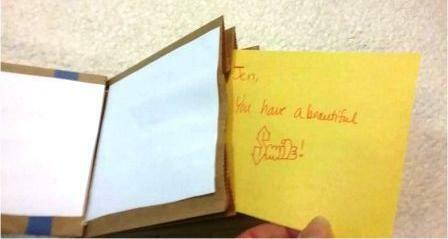 That is when it hit me, instead of buying journals for the 100 attendees, we could knock out one of our crafts and make our journals from paper bags! You will need 3 lunch size paper bags per journal. Although, I suppose you could add more or less depending on how many pages you want to have. 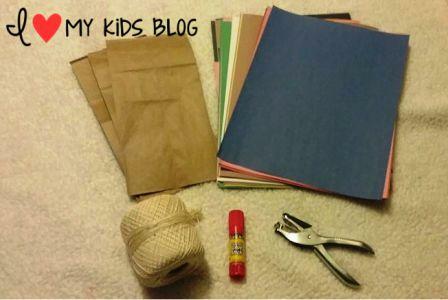 You will need decorative paper (I only had construction paper), some twine or ribbon, glue, and a paper puncher. Step 1: Fold down the bottom of the bag. Pictured below are 3 bags. 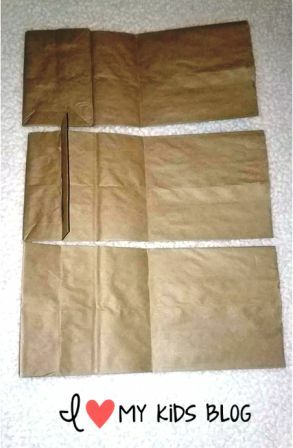 The top bag is how the paper bags come, the bottom end folded up. You can see the 2nd bag, I have taken the top of the flap and folded it down, pictured in the 3rd bag. This will make the thickness correct. Step 2: Line your bags up evenly and fold the set of 3 bags in half. 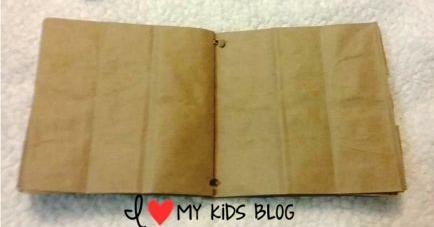 Step 3: Glue those end pieces on each paper bag together. Step 4: Now, punch holes through the set of 3 bags. I used a single hole puncher, but I bet a 3 hole punch would work really well! Step 5: It’s time to tie the book together! On this next step you can use whatever you’d like to tie it. I used some thing crochet yarn to do this one. You can use thin ribbon, twine, raffia, or whatever you’d like! You just thread it through the holes around the backside, and tie it off. I cut a large piece, so I threaded it through 3 times before tying it off. Step 6: Then open the book and press it down to make a stable “spine” of the book. 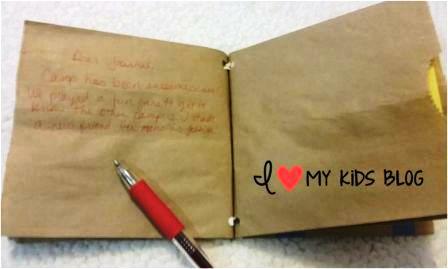 Decorate the Paper Bag Journal to make it yours! Decorate the cover as you please. This is where you can really get creative! 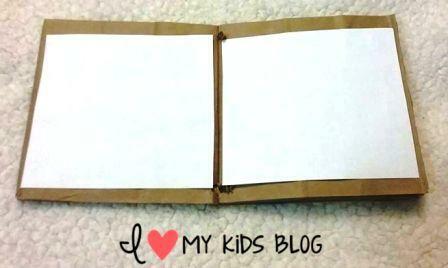 I think covering the cover with cute scrap booking paper would be fun to do or you can make shapes or designs. 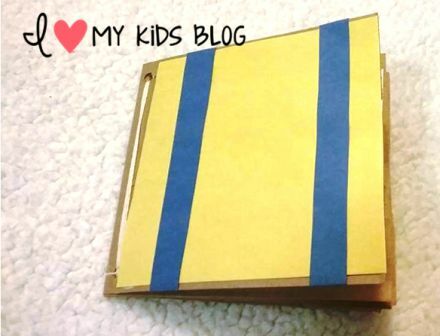 Or if you’r doing this for a cub scout day camp or craft you can use blue and gold paper! 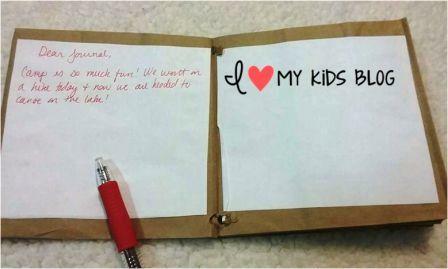 You can write on these covers with pens or pencils, paint, use markers, the possibilities are endless! At this point you can be done with the craft and start using the journal, or you can cut white paper and cover the pages so it is easier to see. 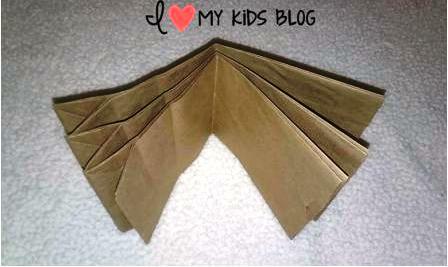 This craft can be as simple or as elegant as you’d like to make it! 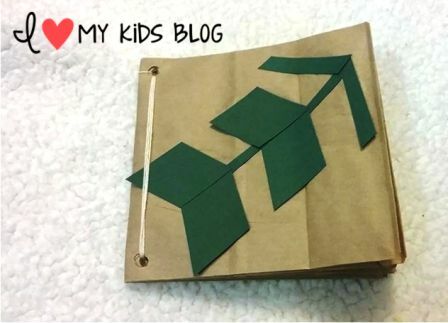 One of my favorite aspects of this paper bag craft is the pockets. 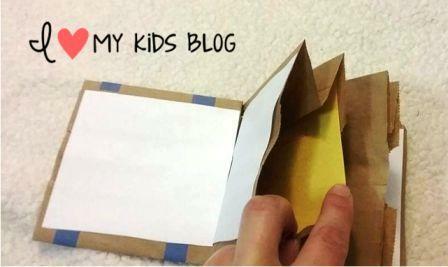 You can sneak little notes in the pockets or the kids can pick up flowers to dry or store fun little treasures. I can’t wait to instruct the girls to leave their journals on their pillows when it isn’t journal time, so I can sneak positive notes in them while they are at the lake, it will be such a fun surprise for them! 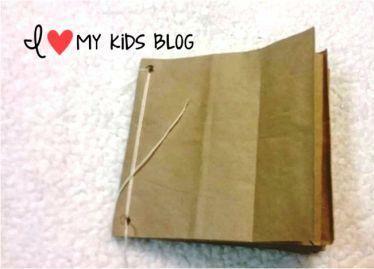 I can’t wait to try this paper bag craft out at camp in a couple weeks! It will help us use our massive supply of paper bags, it will eliminate the need to buy journals for each of the girls, it will take up some craft time, and it will be fun to do! We are also going to make flower pens so we have something fun and pretty to write with!